Biography-Amr Hammour Berlin,Germany. Guitarist, Singer and Composer » Amr Hammour - Guitarist. Composer. Educator. 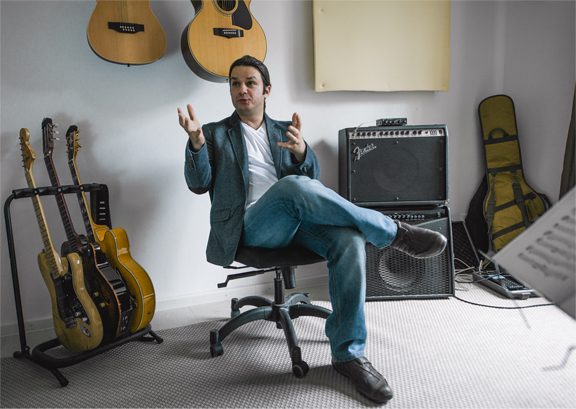 Amr Hammour started to play Piano at age 8, switched to guitar at 12, by the age of 17 he was working regularly with different musical projects. at the age of 19, Hammour Joined his first professional project and started touring with them. 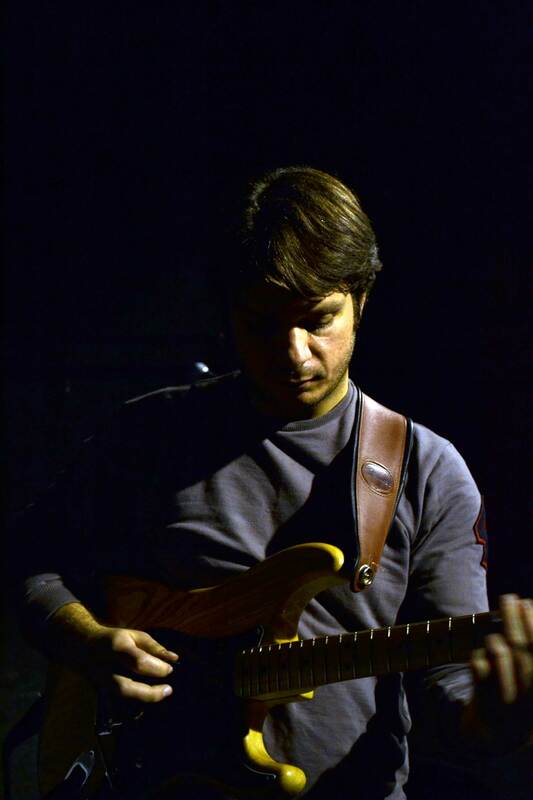 Since then Hammour Gained a great bandstand experience and decided to present his playing as a trademark playing style, which combined the sound of his improvising and the quality of his Harmonic sensibility there for the energy float through his Guitar sound. Hammour showed an extraordinary Talent for the audience in 2002. Playing six of his original compositions with his Band in one of the most famous music festivals. one of the major musician’s members who established the SS Jazz Orchestra, the first full-size big band the Middle East in 2004, and he toured with his Amr Hammour band around the Middle East. In 2009 Hammour had the chance to Perform with one of the world greatest bebop still living Saxophonist Charles Davis (Mr. Davis Performed with Billie Holiday, Ben Webster, Elvin Jones, Freddie Hubbard, John Coltrane, Clifford Jordan and many others). Also, Hammour did some workshops with different artists and musicians around Europe, He was inspired and influenced by one of the greatest American bebop jazz pianist and educator Barry Harris, so he attended one of the workshops that Mr.Harris did in Rome, Italy. During my life since I was a child, Music was always around me, Actually, I never remember a time when music was not there and if it wasn’t! then there is something missing.I really enjoy performing, but the most that I enjoy is Improvising and interacting with the other musicians and the connections between us and the audience, it is simply great. Hammour also Performed with Famous Lebanese composer, pianist, performer, playwright, and political commentator Ziad Rahbani ( son of FAIRUZ /Lebanese singer/ ) In 2009 Hammour recorded his first unofficial album with his Trio, (Time Circle Album) which was a 7 tracks album, a jazz standards songs, and one of Hammour compositions. In 2012 Hammour Performed in London, the UK with Oli Hayhurst, in different venues, joining the great singer Juliet Kelly and ended his Tour Performing with Gene Calderazzo and Oli Hayhurst as Amr Hammour Trio. Performing in festivals and big venues was Hammour passion, Interacting with the audience is the most important thing in this kind of events. Amr is always trying to develop his way of improvising as well as his creative sound and techniques, and his way of special harmonization, he is really inspired by both Pat’s ( Metheny and Martino) techniques and Harmony approaches, which kept him discovering a new methods of using the instrument, even combining the Arabic Oriental eastern Techniques with the Western jazz. Amr Hammour is based in Berlin, Germany now. and he finished recording his first official album with Eight Moments which is available on Spotify, Itunes, Amazon and many other musical Platforms. Hammour performed with his band in Berlin Philharmonie and Fete de la Musik 2015 in Berlin Germany. since he is Performing regularly in Germany. Hammour Performed with: ( Charles Davis /USA/, Siggy Davis /USA/, Reggie Moore /USA/, Zaid Naser /USA/, Chris Byars /USA/, Oli Hayhurst /UK/, Gene Calderazzo/USA/, Andrea Marcelli /USA/, Maria Baptist /DE/, Thibault Falk /FR/, Rino Zumbini /IT/, Juliet Kelly /UK/, etc).